Laina Raveendran Greene, Audrey Tan and Lizzy Hawkins have spent their lives searching for ways to address inequalities and enable people to lift themselves out of poverty. The authors highlight the issues facing those belonging to what has been called ‘the bottom of the pyramid’ and through vivid examples, show the ‘penalty’ that such people have to face on a daily basis. They examine the ‘feminisation of poverty’, how the key to tackling poverty is to enable the very people who are most affected by it, i.e. women. The next theme is the critique of the outmoded model of charity and donations. Providing powerful arguments for why social enterprise is the best model for tackling poverty, they urge investors to move beyond providing women just microfinance loans. Finally, the authors invite you to join them in building a new type of capitalism, where people are prioritized over profits. 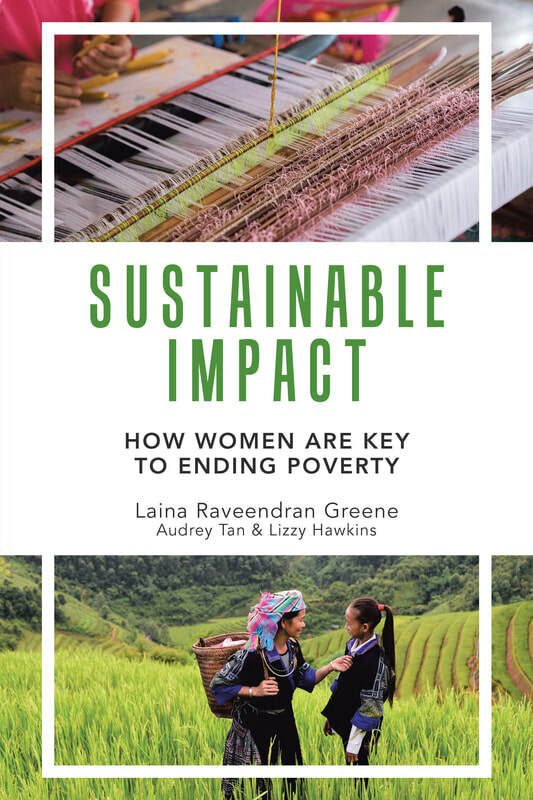 Sustainable Impact: How Women Are Key to Ending Poverty looks at how we can tackle poverty and build a more equitable world, one in which women have equal opportunities to uplift themselves from the ravages of poverty and build better futures for themselves and their communities. "Pithy, pragmatic, heart-warming, shocking - this book tells personal stories of the bottom of the income pyramid. You will learn about social enterprises and how you can and why you should engage. Women are the key to the solution to poverty and this book will convince you of that."